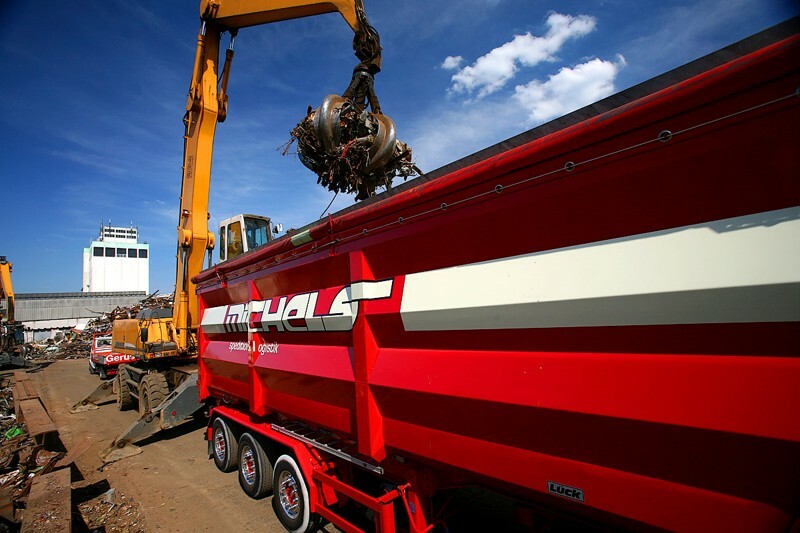 We use steel tipping trailers with a usable volume of up to 75 m3 for metal and waste transportation. They are extremely robust, which is why they can also be used to transport bulky material. 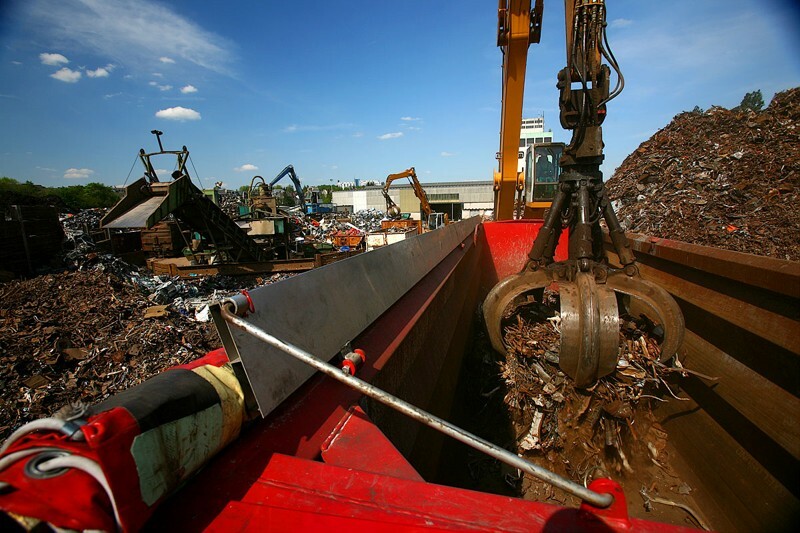 The size of our semi-trailers also enables us to transport bulky scrap and metals while ensuring high capacity utilisation. 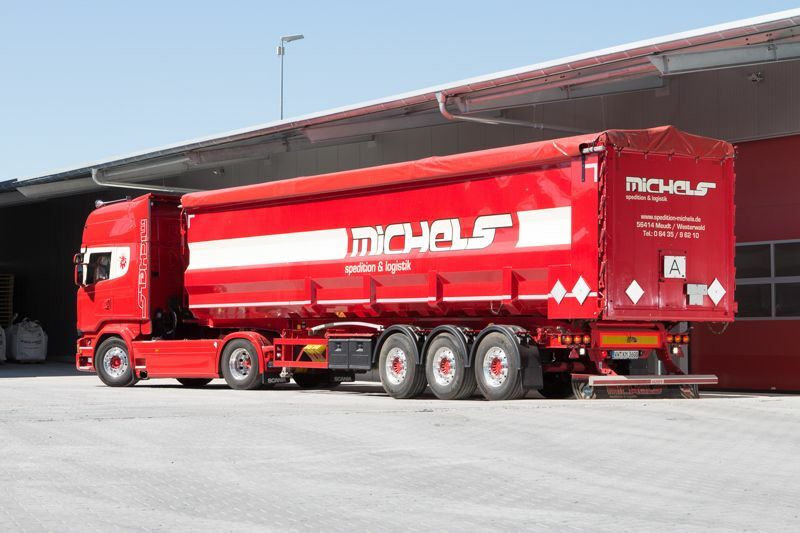 In order to ensure that moisture-sensitive goods are protected against humidity, all our tipping semi-trailers are equipped with rolled tarpaulins. 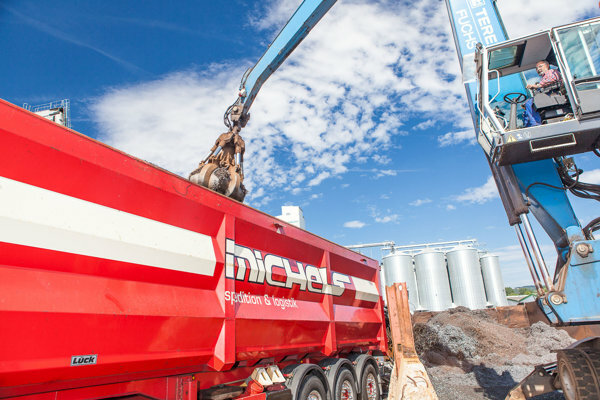 The company Karl Michels GmbH & Co. KG has a history stretching back 80 years. 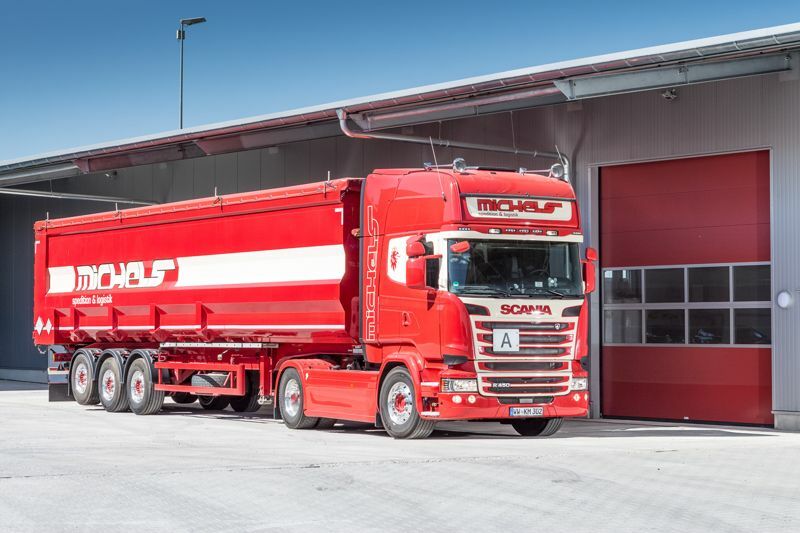 Four generations of team spirit, commitment, customer focus and experience have shaped the reputation of our haulage company. 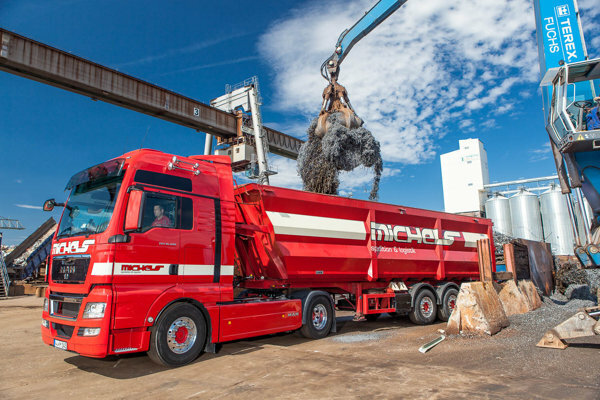 This makes us a modern, forward-thinking company with an international outlook that can advise you on all aspects of road haulage and logistics.